ENDEAVOUR IS THE EXCLUSIVE AUTHORISED DISTRIBUTOR OF MITSUBISHI FORKLIFTS IN SOUTH YORKSHIRE. With full manufacturer backing, a wealth of equipment and technical expertise at our disposal, our professionalism, potential and commitment has been fully recognised by one of the industry’s leading brands. At Endeavour, we offer a complete range of services to our customers in the South Yorkshire region: from used and new forklift sales to short-term and long-term hire to servicing and parts across all brands. We also offer floor care, access equipment and much, much more. Our team is led by Rotherham-born Jason Reynolds and Ken Jackson. With more than 50 years’ industry experience between them, working for some of the UK’s leading manufacturers, they have worked with customers of all shapes, sizes and sectors across the UK and locally in the Yorkshire region, including: TATA Steel, ASD Lighting PLC, Ron Hull Group, Thessco Ltd, Tekfloor Limited. 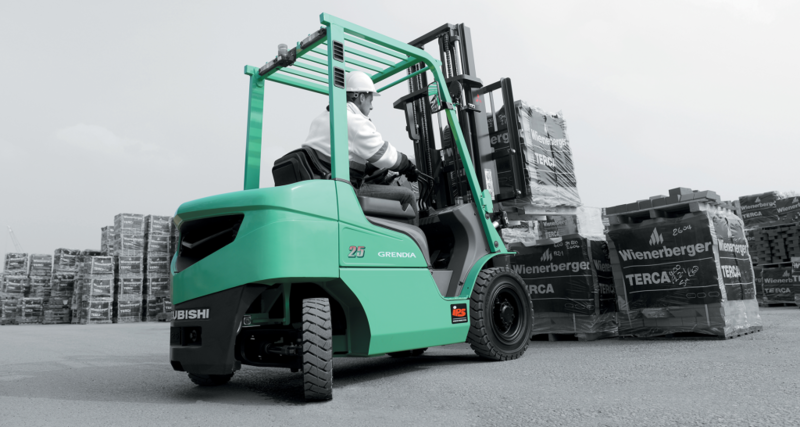 We are South Yorkshire’s exclusive supplier of Mitsubishi Forklift Trucks: working with customers throughout Barnsley, Wakefield, Sheffield and Rotherham. From our new 12,500 square foot new premises in Aldwarke, Rotherham, our team of ten works tirelessly to deliver the benefits of Mitsubishi products to local businesses… backed by the unwavering support they need to keep their businesses on the go. A large casual hire fleet, stock of new and second hand units are all held in Rotherham, enabling us to provide the best possible solutions to our customers. Our experience, customer commitment and in-depth knowledge of South Yorkshire businesses has impressed the UK’s sole importer for Mitsubishi Forklift Trucks so much that they have invested significantly in Endeavour to ensure our long-term success… and, in turn, that of our customers’, too. Our fresh new approach, high levels of customer service support and the Mitsubishi brand have already proved popular with local companies with a number of significant successes to date. From engineer, to sales management, national accounts to managing director, Jason’s distinguished career has been built on a reputation for knowledge and integrity. What Jason doesn’t know about materials handling, isn’t worth knowing. Are you sure this man is in sales?! Ken is that rare breed of well liked and well known forklift expert. Having spent years with major brands, he’s developed a loyal customer-base that has respected his advice and relied on his support, year after year. Our service manager, James, knows everything there is to know about how forklifts work. With many years of experience in engineering, there’s no one better placed to manage, oversee and implement repairs on trucks for our customers. 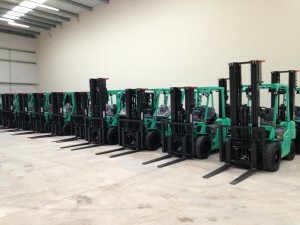 We have a complete range of Mitsubishi forklifts, Dulevo floor cleaning & ancillary equipment available.